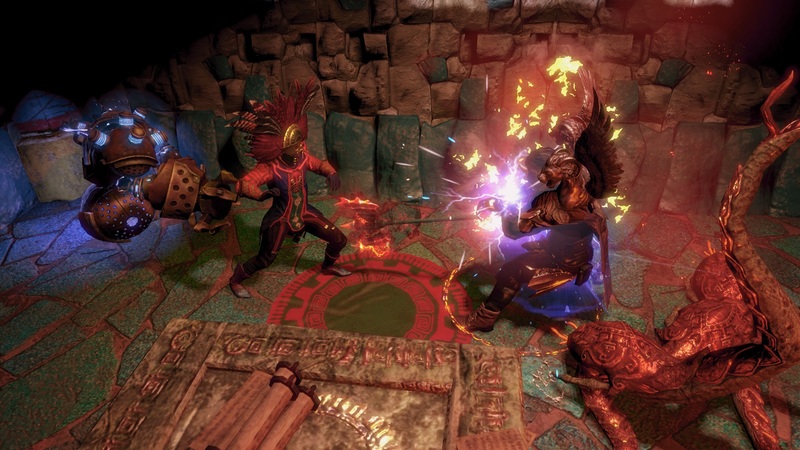 If, like me, you are still quite disappointed from the announcement that the beloved Bestiary League won’t be included in the core of Path of Exile, perhaps Grinding Gear Games can interest you in the game’s next league? Opening its doors on June 1st, Incursion continues the studio’s tradition of offering new content every three months. 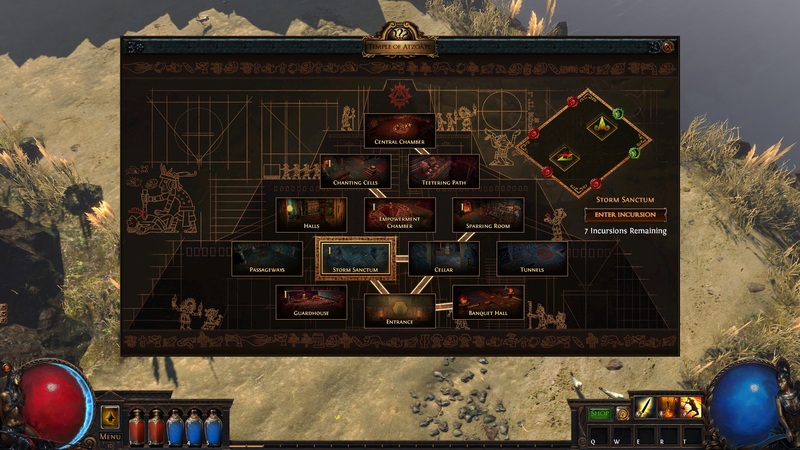 But it’s more than just a league: Incursion has all the trappings of an expansion. 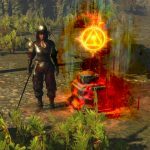 What is Incursion? 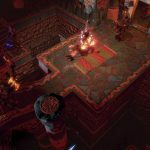 Producer Chris Wilson and I sat down to discuss the ins and outs of this next step forward for PoE, which in actuality is a step back — in time. 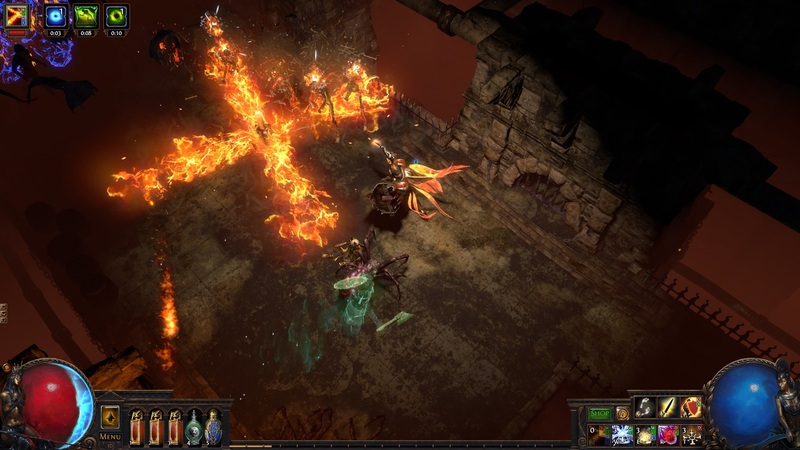 While I may not be able to go back in time to quell those hopes of keeping my bestiary, Incursion will have me going back to manipulate my access to an ancient Vaal temple so I can return and loot it for treasure in the present. 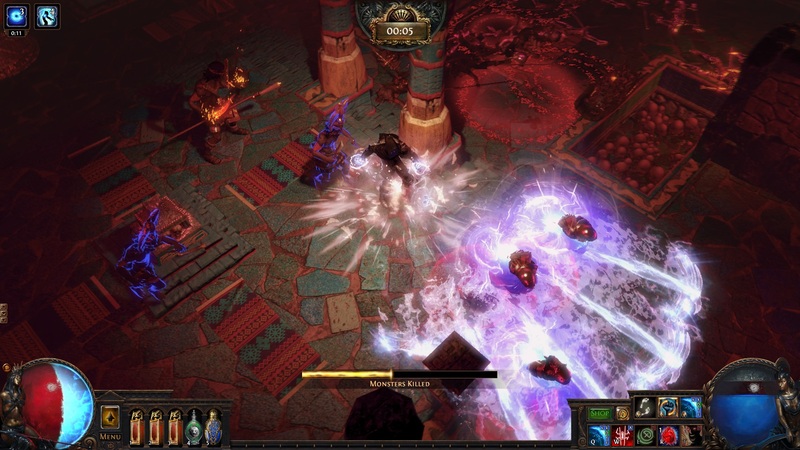 Wilson described the league as having two layers: one’s a place where you go and kill monsters in every room in a timed trial like Breach, and the other’s a deeply strategic temple building for a customized zone experience. After we explored the new content, Wilson made the vision clear. 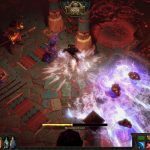 “Our philosophy with Path of Exile releases: The two important things to do are to add compelling new content for people to play and compelling new ways for the players to play it.” With every new league I wonder if GGG can hit that mark, and every time I chat with Wilson I think, By Jove, I think they’ve got it! 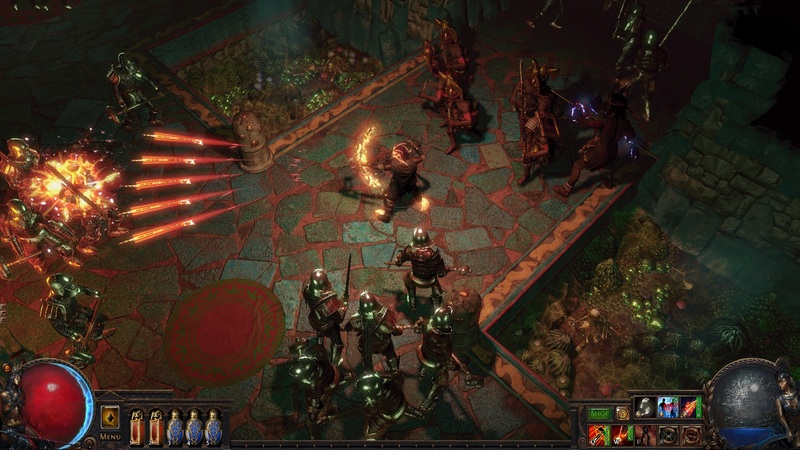 In this leaguespansion, players are tasked with helping Alva Valai (said new NPC) locate the lost Temple of Atzoatl (new location), in order to loot this once-jewel of the Vaal Empire of its hidden treasures (new items). Of course, players will have to first face and vanquish the creatures inhabiting the temple (new monsters). That covers everything except the new skills. Amusingly, Wilson noted that although the mandate to the team was to work on fixing existing skills (which they did do a couple of dozen), 11 more have actually been added in this release. 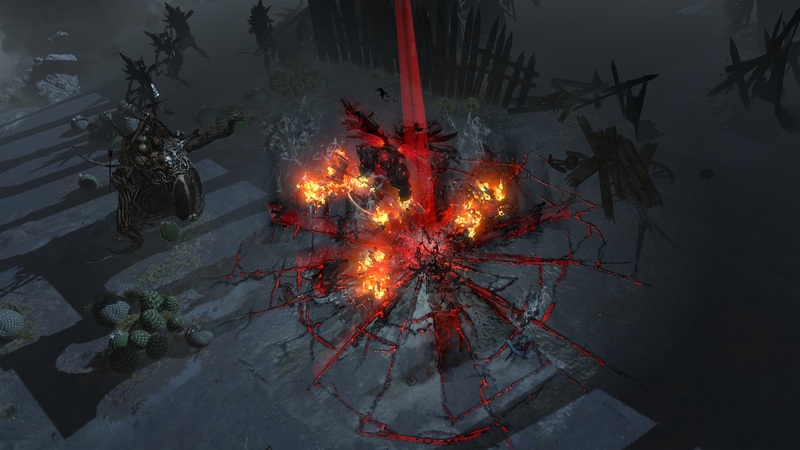 There are six new Vaal skills and five new traps. 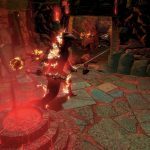 In the midst of going back to old skills and making them better, devs thought of new skills to introduce that could really help the older ones. 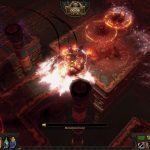 “So we ended up with our don’t-have-new-skills expansion having more new skills than any other expansion has for a long time,” Wilson chuckled. Which, he added, “is good for the game.” The fact that those trap and Vaal skills were some of the easiest to create helped that to happen. That, however, does not diminish the number of new build opportunities with this release. 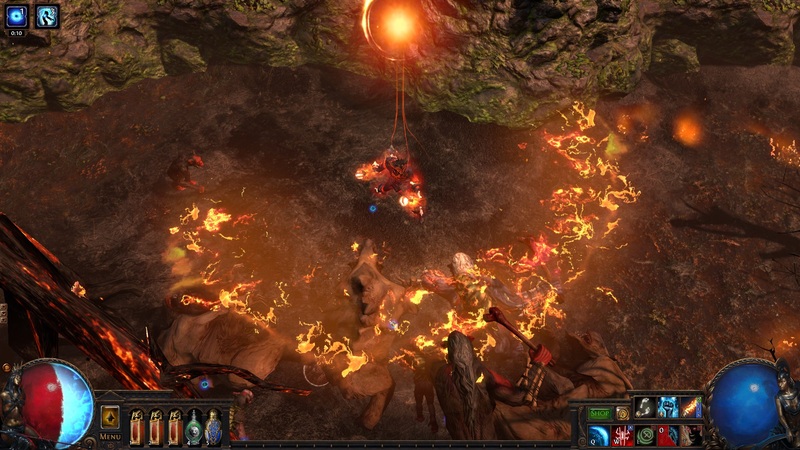 Perhaps the two biggest changes to existing skills is actually tied into some of the new ones; Vaal skills and traps are getting some significant attention. 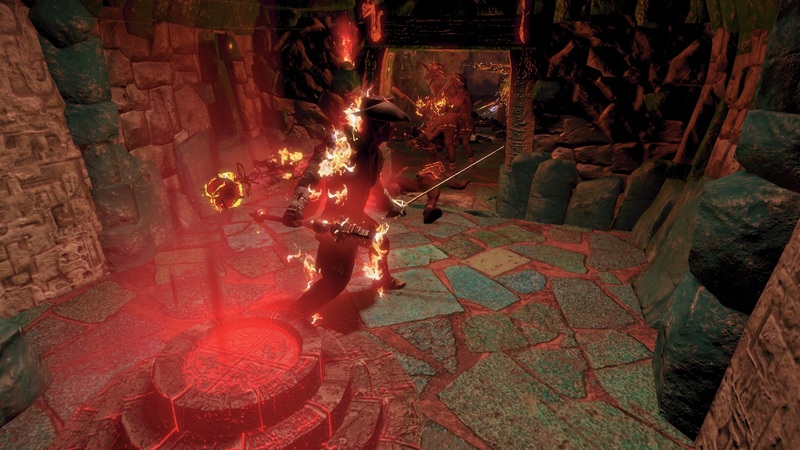 Currently, players only get to use a Vaal skill when it is fully charged with souls. 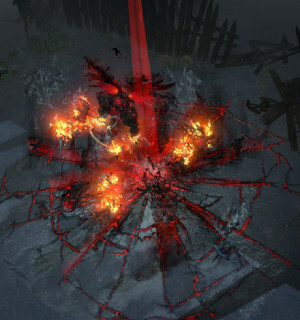 With this new leaguespansion, however, when players equip a Vaal skill they will get both the Vaal and a normal version to add to their arsenal. That means players don’t have to wait to use the skill; instead, they can utilize the normal version (which is attached to all the same support gems) and then pop the more powerful Vaal when it is fully charged. As for traps, they are switching to aggressive bombs that can be tossed out instead of things players have to preset. Wilson stated that the trapper build can now be recommended as a starting one. 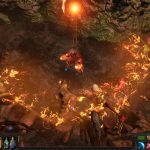 Other mechanical changes have happened to existing skills, such as improving Incinerate’s effects and how it interacts, and making Rain of Arrows pin down mobs. Some of the other skills getting tweaks are Charged Dash, Cold Snap, Double Strike, Ground Slam, Infernal Blow, Lacerate, and Power Siphon. That’s enough on new skills, right? We know you want to hear about the league itself! One thing Wilson pointed out is that unlike previous leagues, this one was completed ahead of schedule, giving the team a full month to iterate on it before release. 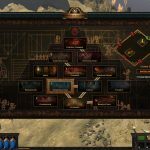 It also offers the opportunity to get a head start on the next league so the team can stay ahead of schedule and have more time to put finishing touches on before launching content. Going to the temple and I’m, going to get looooooot. Sing it with me! OK, even if you don’t sing, you can go to the temple and partake in its loot. 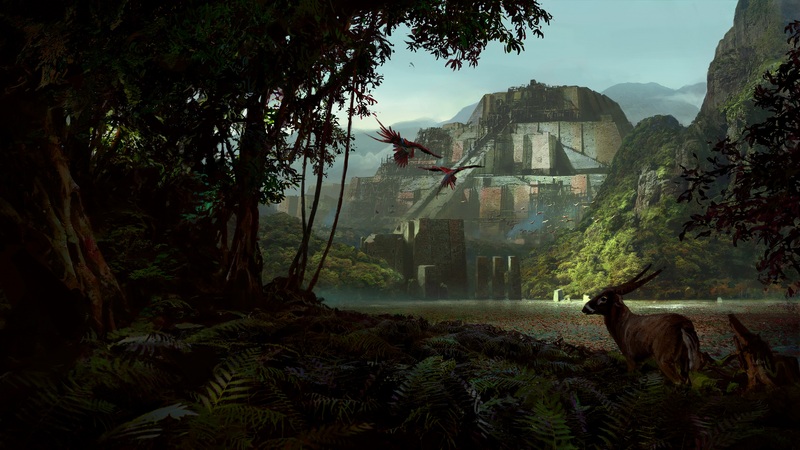 As mentioned previously, players will be helping the relic hunter Alva Valai’s life-long goal is to find and uncover the secrets of (and pillage) the Temple of Atzoatl. In her search she discovers that she can use Vaal blood on relics to open a portal to the time the temple was created (which also allows her to find the temple in the present). Now she needs players’ help in the past to secure modern day access. “While you are in the past you have the ability to influence the future of the temple,” Wilson explained. 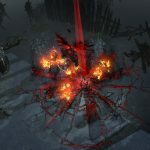 In a nutshell, the temporal incursion is like a timed trial — the more Vaal mobs players kill the longer they will get to stay in the past to complete the objectives. Objectives include finding keys to open doors and link rooms within the temple, upgrading the difficulty tier of rooms, or outright changing a room. 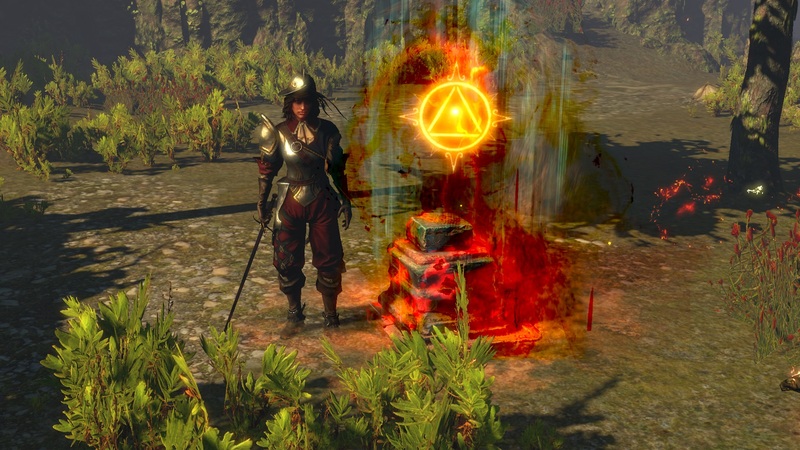 Note: To save players from wasting time on inventory management, Wilson emphasized no loot will drop at all in the incursion and will instead all drop at once when players return to the present. 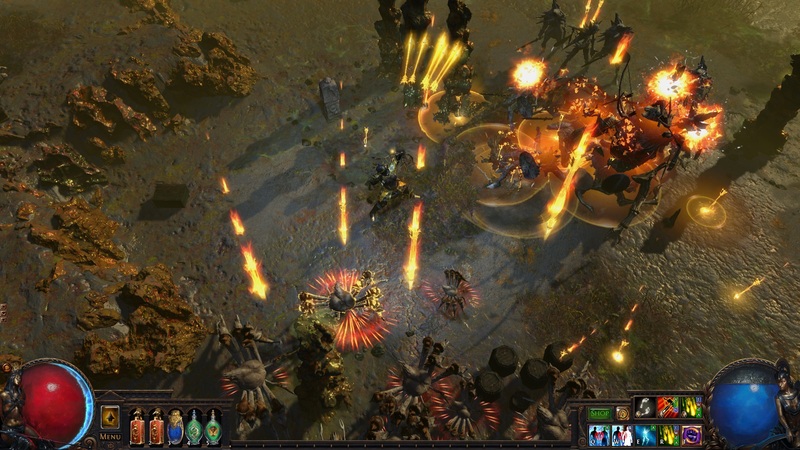 How much you get depends on how many mobs you kill, each kill adding to a special loot bar. 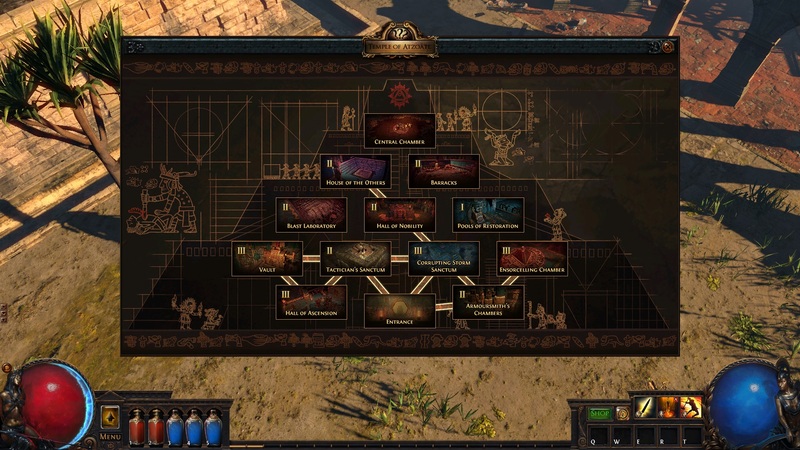 Here’s how it works: Alva will show players a map of the temple. 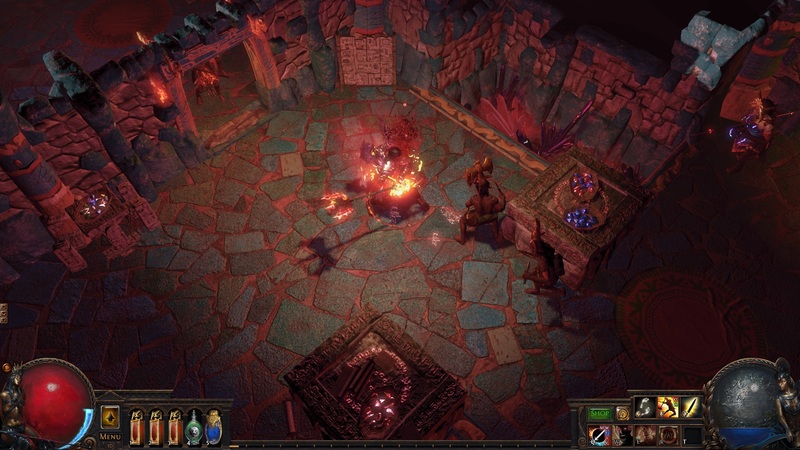 This temple map is randomly generated for each player and shows multiple rooms with any connecting doorways. 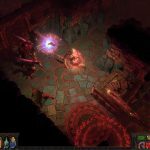 Players will have 11 (that number might change by release) temporal incursions to participate in with the goal of gaining access to more rooms as well as upgrading and/or changing rooms. 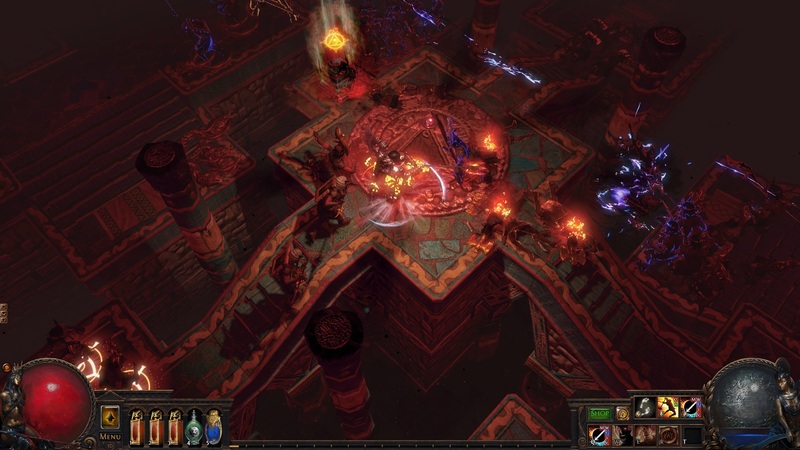 After these incursions are completed, players can enter the present-day temple as the final zone to work through and gain rewards. Speaking of those objectives, this is where your past comes to haunt you… and that’s the whole point! 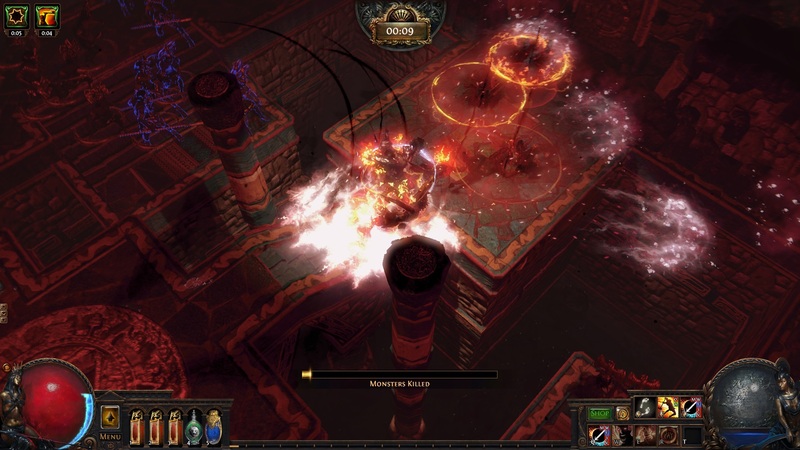 What you do in your past incursions affects your final temple zone. Opening doors is fairly straightforward: Players find a key and select a door to open with it. Here it may be important to know your temple layout, as the position of the doors do correspond with their placement on the map so you can pick which rooms you want to access. Upgrading rooms means players can make a room more difficult for the future past trips as well as the final temple, which, of course, makes better loot available. Changing the room is exactly what it says: changing the current room to a different one. There are tons of room possibilities, including guardhouse, tunnels, treasure room, halls, cellar, chanting cells, and banquet hall, just to name a few. There is also always the central chamber at the top. 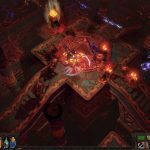 Tip: You want to connect to the central chamber because that is where the boss room is! Changing and upgrading rooms are tied to the two architects that are in each room. One architect will be related to the room (such as the storm architect in the Storm Sanctum room) and the other will be random. By killing one, you push the room development in the direction of the one left living. So if you don’t want the Storm Sanctum, you kill of the storm architect, and after you leave the room will switch to whatever the other architect was. However, if you want to upgrade the room to Tier II (or from II to III), you have to kill that other architect and leave the storm one alive. Each time you upgrade, you make the temple more difficult to traverse in some way (boss skills, mob difficulty, environmental hazards, etc.) as well as increase the level of reward you’ll receive. Hint: To save time and get more done, mouse over the rooms before entering the incursion and note on the right of the map where the architects are position-wise so you’ll know which direction to fight to kill one over the other. What happens with upgraded rooms? Take the weaponsmith for example. Upgrading this room gives access to better weapons in your final temple run, but it also boosts the damage of all the mobs there! 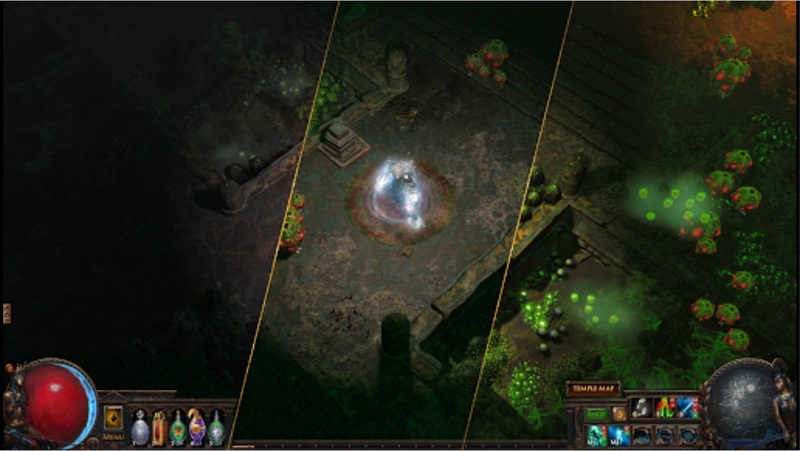 Another example is upgrading the garden, which adds more deadly plants all over the present-day temple but counters that by Tier III, guaranteeing a poison-themed unique in that room. “That presents interesting choices to the players, ” Wilson said. 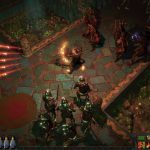 “Some rooms give incremental rewards as you upgrade them to compensate for their risk, and other rooms have the rewards completely biased toward Tier III.” Yes, this means it’s possible to make your temple harder without getting a payoff! Important note: Which room you are placed in for each incursion is random, so there’s no guarantee you will return to and upgrade a room. With more rooms than incursions, there will also be rooms you will never see. Over the course of the 11 incursions, players will change the face of the map in the form of the risks and rewards they want. 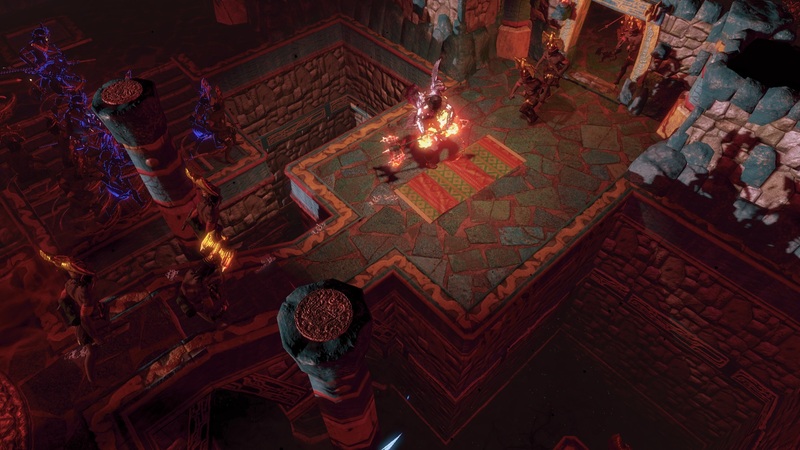 Then upon finishing the last one, they’ll find it’s time for the second part of this league where players enter the Temple of Atzoatl in the present day and run it. By the way, you have to actually fight your way to the temple in the real world and face the present-day monsters which have altered over time. 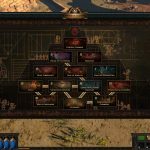 Once that is done, players will get a new random temple template and can start the process over again. 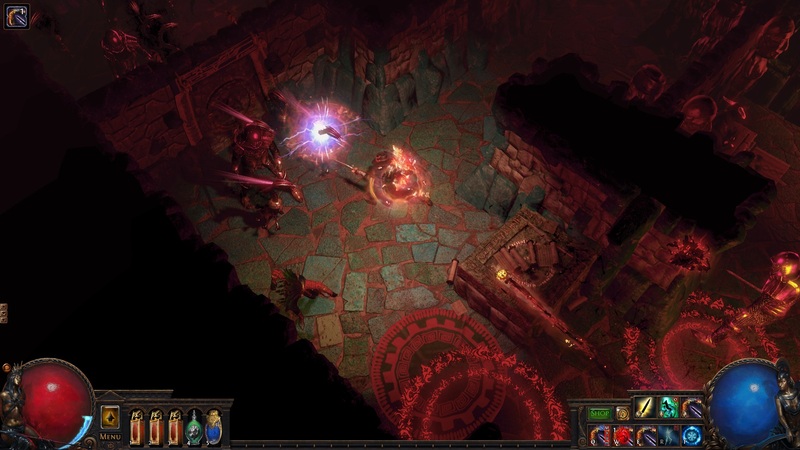 Wilson explained that players who can finish an area in two to three minutes could potentially do a new temple every hour. 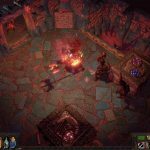 An important tidbit for players like me is that yes, you can play your temple as a group. All your friends have to do is pile into the portal you open at Alva before it closes. Obviously, that only progresses the temple of the one who opened the portal, but everyone can take part in the spoils. Can the battle royale return? Before closing, I asked about a possible return of the battle royale mode, a question on the minds of many players who enjoyed the April Fools’ Day “prank” as well as those who missed its brief appearance. “I want to bring it back and we will do it, it’s just a matter of finding the right time,” Wilson told me. He doesn’t know when it could happen primarily because bringing the battle royale back would require a good chunk of balancing work to be a more fair (and ergo more fun) experience. 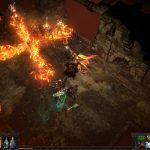 There are also ideas floating around about considering spinning it off as a standalone game as opposed to making it an occasional or permanent mode in PoE. Note, those are not plans, only ideas right now! 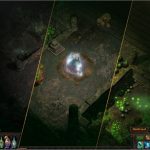 There are pluses to going for a new audience, Wilson pointed out, because the devs will probably serve the players better giving them the PoE experience they signed up for as well as it could be bad to distract players from the limited-time leagues which might frustrate them. Wilson stated he could just press a button and bring it back up right now, but it would appear just as it was on the holiday. 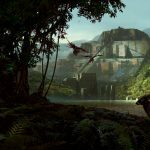 “It was an amazing exercise in getting a game mode added in one day, but it has some balance issues,” he added. “Before we bring it back we want to put some effort into making sure it is more fair so there are more than two ways to win. Unfortunately it is one of those cases where it takes a day to make it initially and then it takes weeks to make it good.” The tricky part is finding those weeks to dedicate to the work. 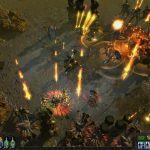 Wilson says balancing that with the existing league content creation, which is very time consuming, is difficult. he explained that over the last few releases, devs have gobs of overtime. Due to that, he has promised that the team can take it easier for now. He said, “I have to put the family situation of our staff ahead of how many things we can release.” His goal is to get through the release of Incursion without anyone needing overtime. Any buffer left over will move forward to reduce the possibility of necessary overtime on future leagues and expansion. As much as Wilson wants to bring the mode back, any detour to make battle royale better jeopardizes that buffer and could throw off the content release schedule, a schedule that the studio has continued to keep time and time again. 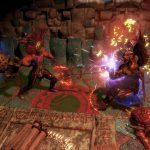 GGG continues to innovate and impress, more so than any other ARPG game currently out. Maybe this is why Blizzard has kept Diablo essentially MIA for last 2 Blizzcon’s. They just dont have anything that can compete… yet.